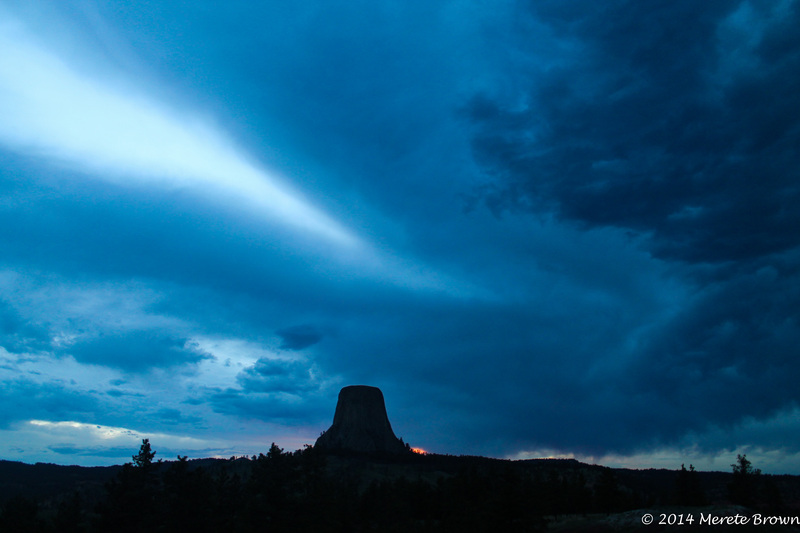 Devil’s Tower has long been surrounded by legend. 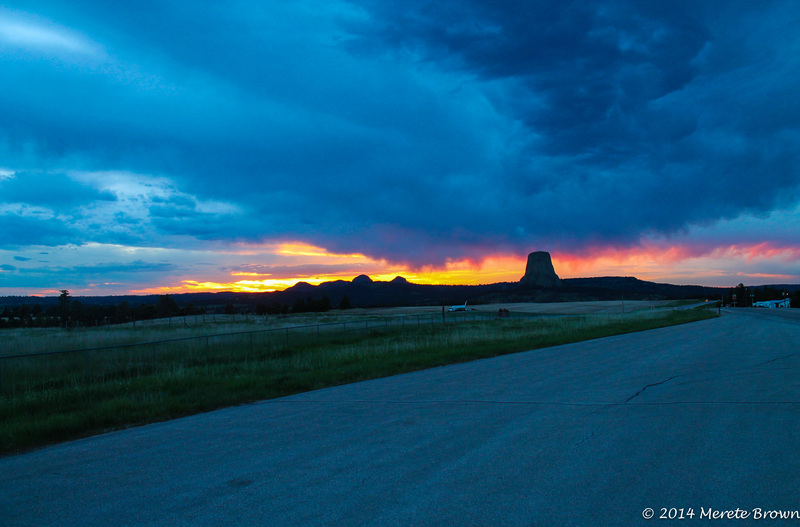 Although many people may recognize the mysterious rock formation from the 1977 movie, Close Encounters of the Third Kind, for years many American tribes have found it sacred and each have their own tale surrounding the oddly shaped monument. 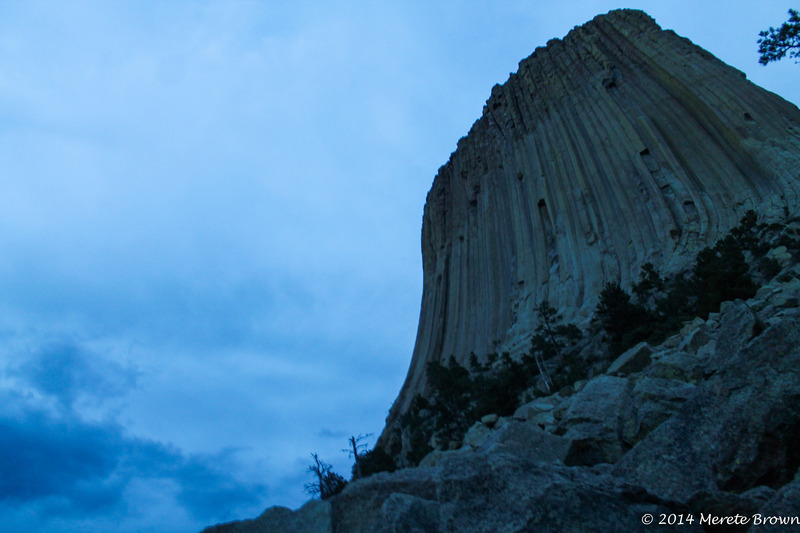 One of the interesting tales about Devil’s Tower is told by the Kiowa Tribe. According to the National Park Service, the story begins with seven girls being chased by bears a distance from their village. As they ran towards their village, the girls jumped up on a low rock about three feet high and one of them began to pray to the rock to take pity on them from the bears. The rock heard the girl’s prayer and began to grow upwards, pushing the girls higher and higher towards the sky. When the bears jumped up to reach the girls, they scratched the rock, leaving claw marks and fell to the ground. As the rock rose higher and higher, the bears continued to jump at the girls until the girls were pushed up into the sky, where they became the seven sisters, or rather the cluster of stars known as Pleiades. When the people came to look for them, they found the bears’ claws, turned to stone, all around the base. 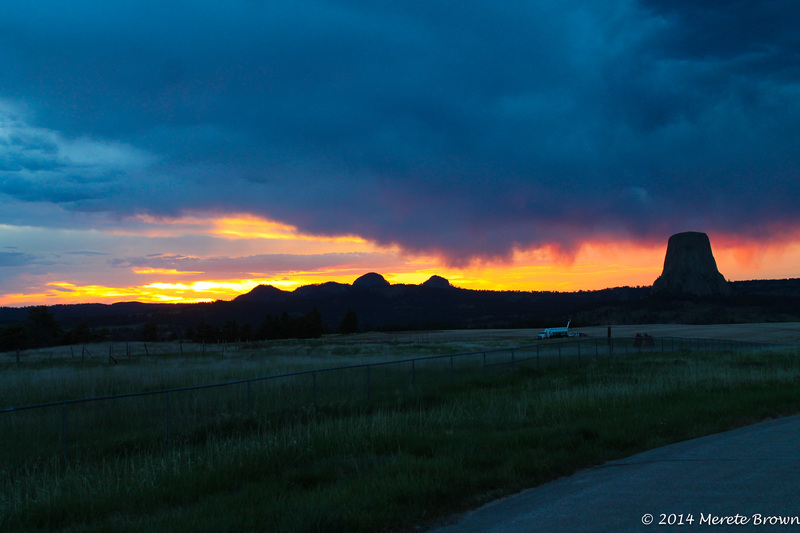 In the winter, in the middle of the night, the seven stars remain peering down over Devil’s Tower. Today, standing 867 feet high from the base to the summit, Devil’s Tower has also been an attraction for climbers from all over the world. Once you reach the top of the igneous intrusion, it’s about the size of a football field or rather about one and 1/2 acres. The base of the tower is approximately one mile around. However, the National Park Service has asked climbers to refrain from climbing during the month of June to show respect for the sacredness of the rock. 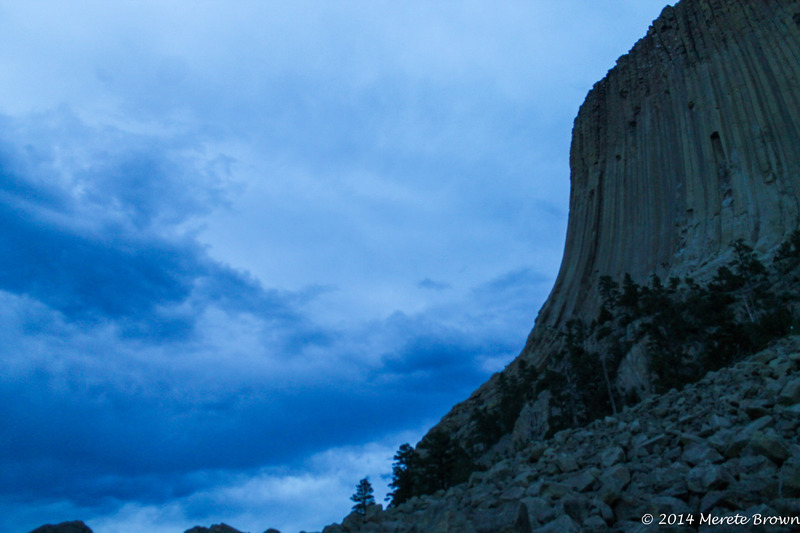 There is no doubt Devil’s Tower envokes a strangely spiritual feeling, whatever it may be. 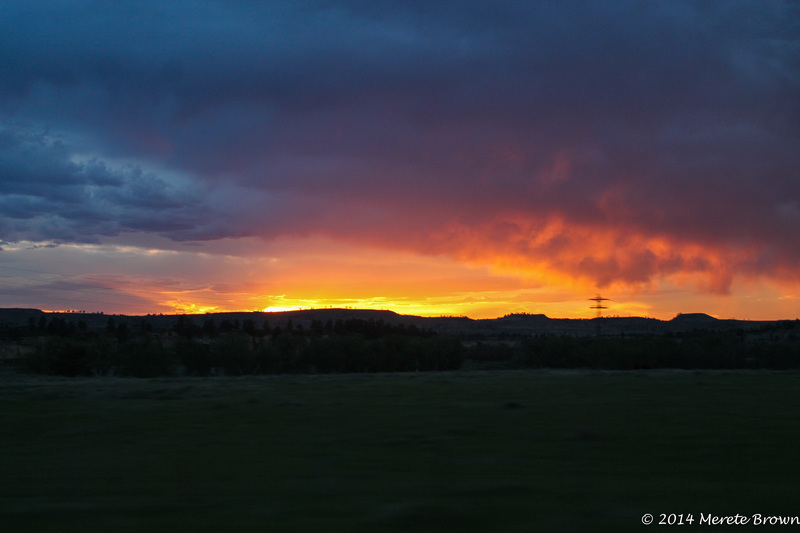 Arriving shortly before dark on our trip across county, it was a beautiful place to stop. 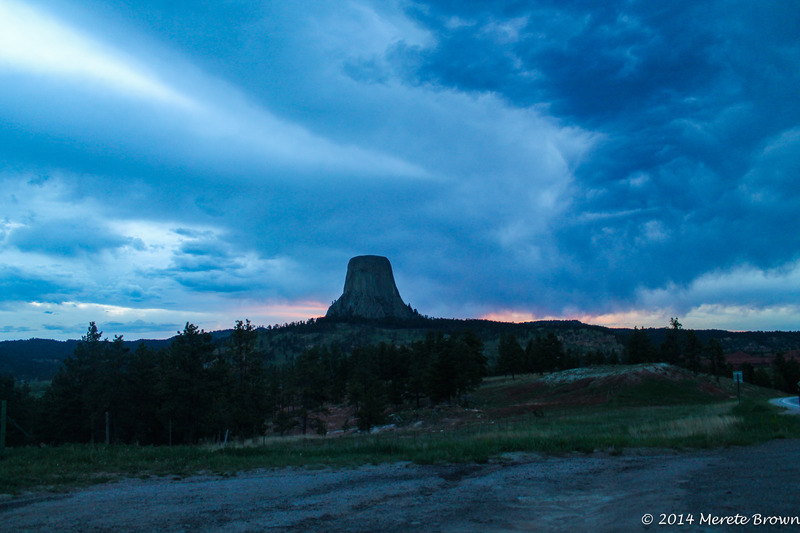 As the first ever U.S. monument towered up over the Belle Fourche River, it was truly difficult to explain our experience even during the short time we spent at Devil’s Tower. The eeiry power of the monument might of been a result of fatigue from driving or lack of food, but one thing is for sure, it was surely worth the detour, and if given the opportunity, a place everyone should experience for themselves.